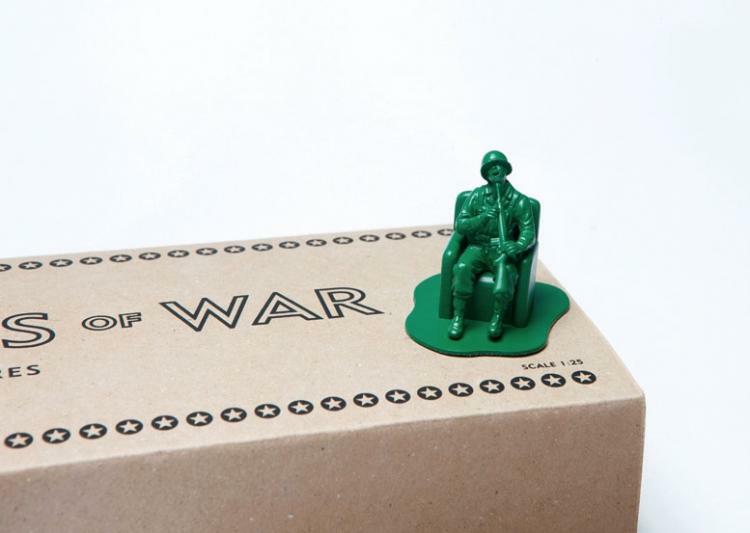 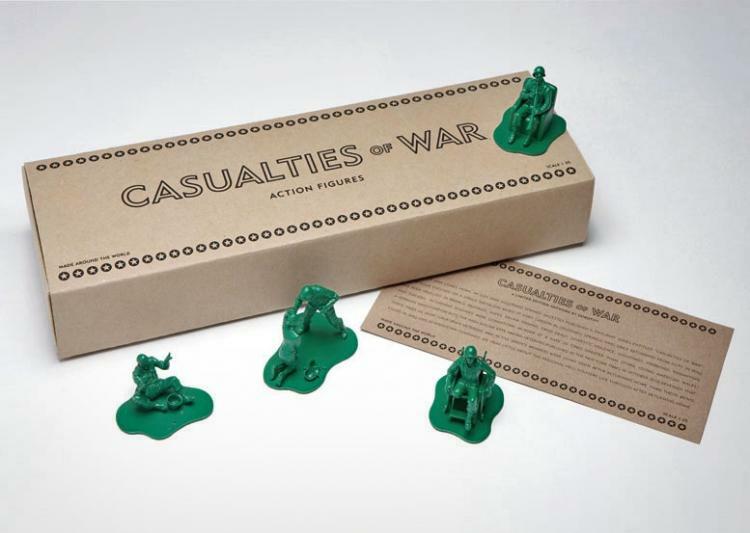 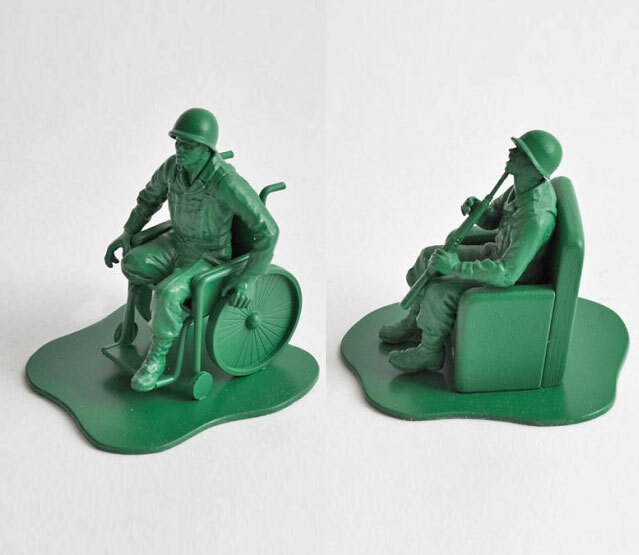 The 'Casualties of War' is a limited edition art piece collection that depicts the realistic side to the little green army men, and what awaits the soldiers as they return back home from war. 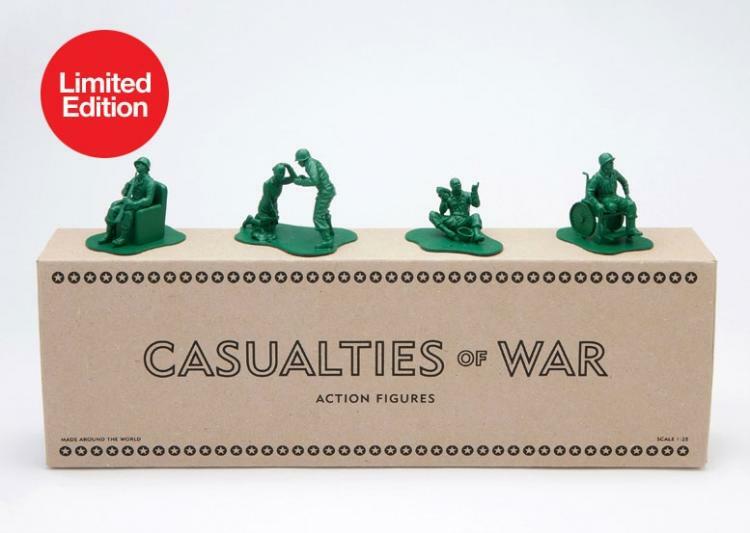 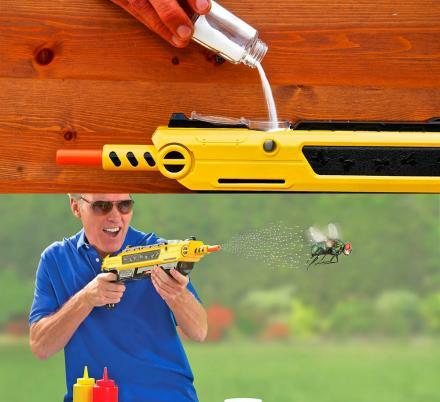 Depicting a man with an amputated leg in a wheelchair, a man about to commit suicide with a gun to his mouth, a guy begging for change, and a guy in a domestic dispute with this wife, these figures take a depressing look at what would other wise be a fun little toy for your children to play with. 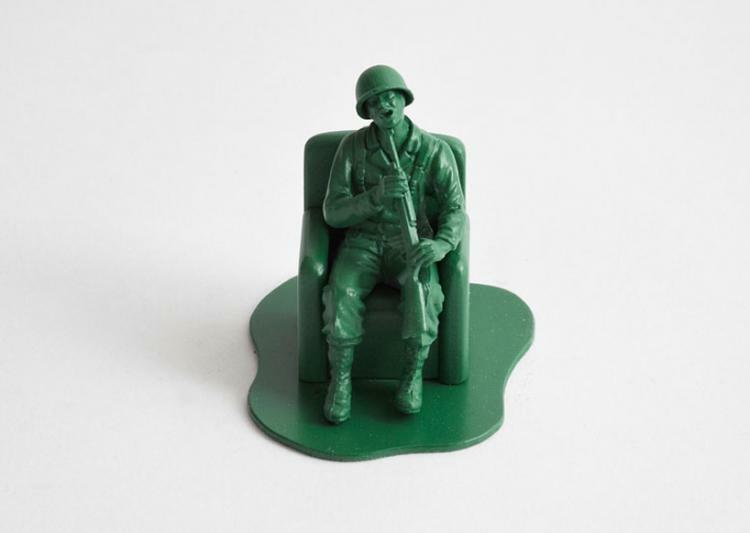 Although not really something you'd want laying around the house, especially at a price of over $3,000, these realistic green army men still serve as a great art piece and as a reminder to the aftermath of war. 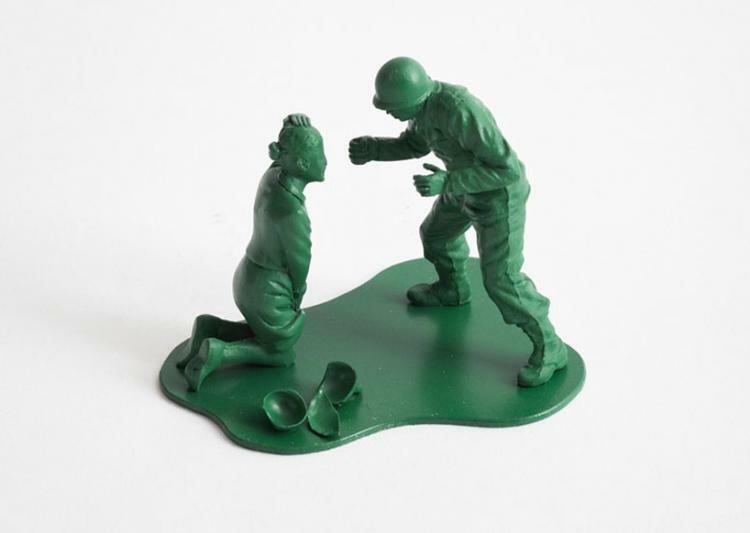 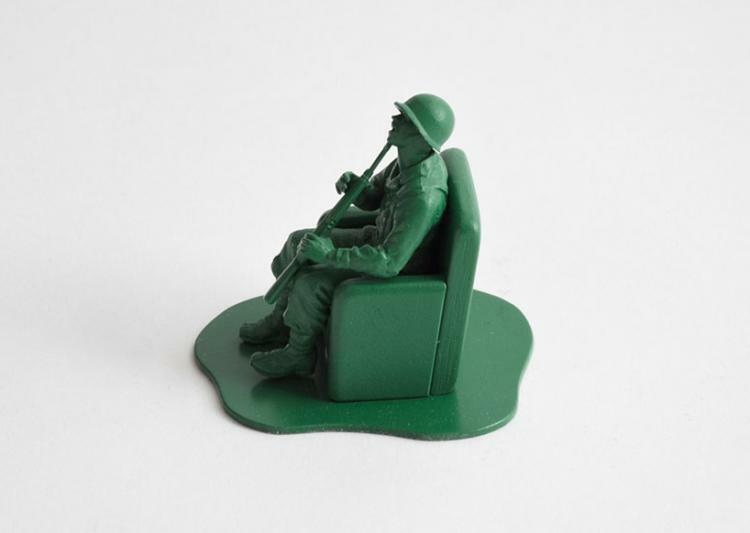 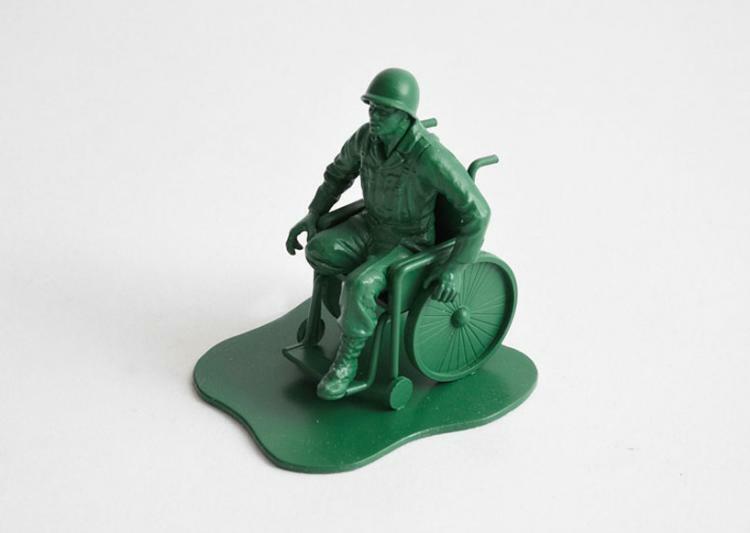 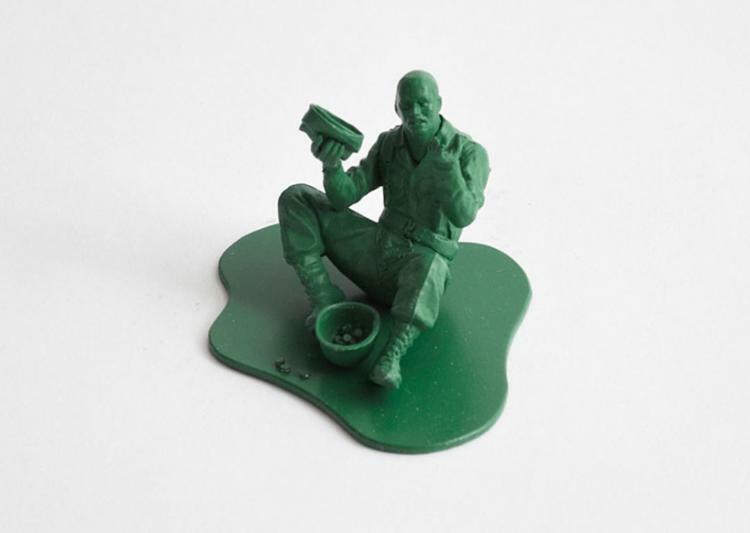 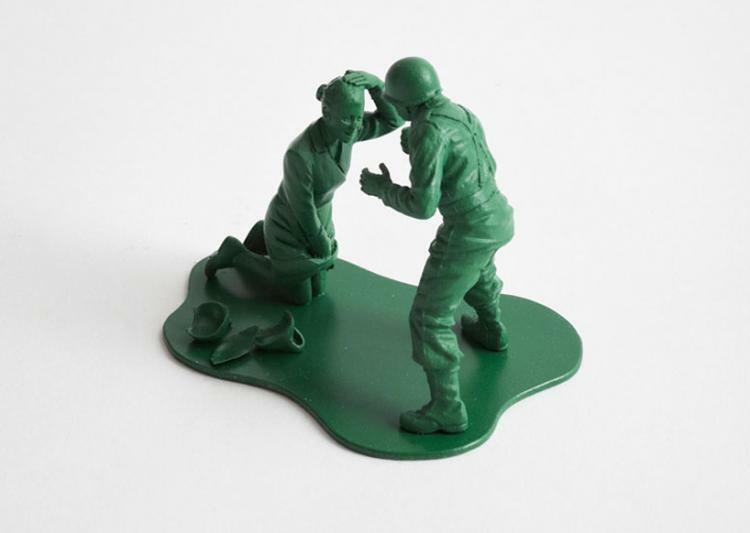 The Casualties Of War green army men figurines are made from resin, come in a set of 4 figures, and each figure measures roughly 2.8 inches tall. 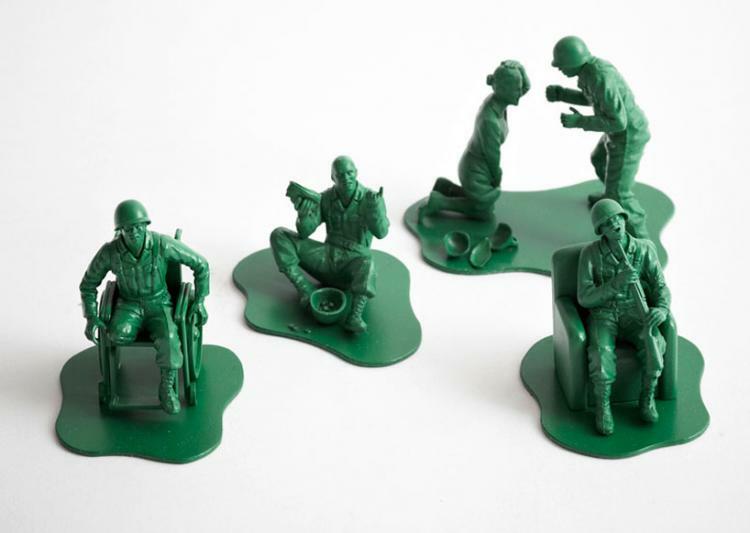 The set was made into a very limited number of 10 total sets.